Wild Leek Press is an independent literary press with a focus on letterpress and design. Wild Leek Press (WLP) is an independent literary publisher from Sugar Grove, Virginia currently printing on the campus of Emory & Henry College, Emory, Virginia. WLP’s presses include an antique 1892 Golding Pearl No. 3 (7″x11″) platen letterpress that was bought from a closed letterpress shop formerly known as Fitzgerald Printing in Elizabethton, Tennessee and a vintage Showcard Model B (14″x22″) sign press that was bought from Andrew Churchman, letterpress supplier and caretaker of Boutique de Junque, in Indianapolis, Indiana. 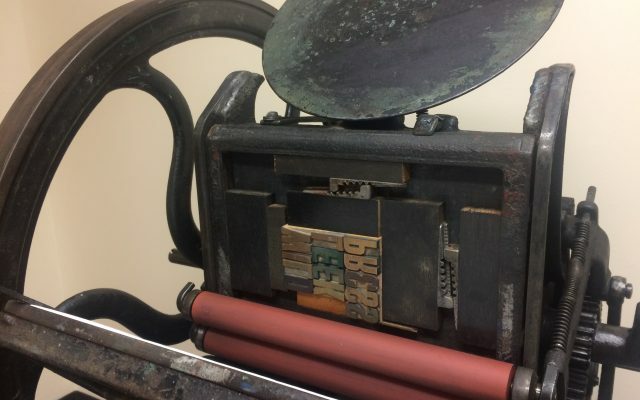 Our letterpress shop uses handset movable type and letterpress print blocks. We also have an antique book press and saddle stapler. Visitors are welcome (by appointment only). 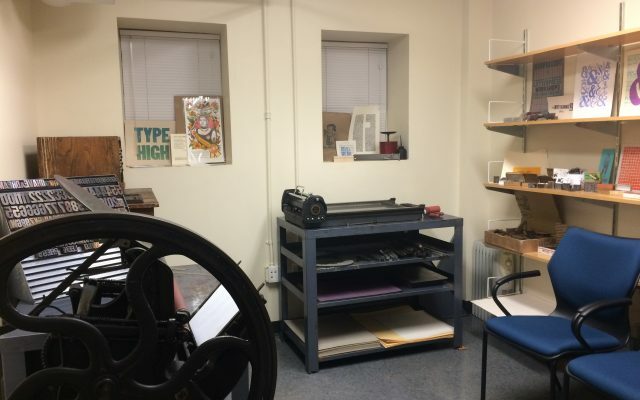 Wild Leek Press is currently accepting donations, such as paper, letterpress items, metal and wood type, and monetary donations of any amount to fund projects. The winner of The Wild Leek Press Inaugural Poetry Chapbook Competition has been announced. Inquiries, donations, and comments welcome. Wild Leek Press is an independent literary publisher from Sugar Grove, Virginia currently printing in Emory, Virginia. Visitors are welcome to visit the Wild Leek Press letterpress shop (by appointment only).